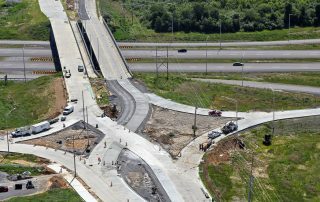 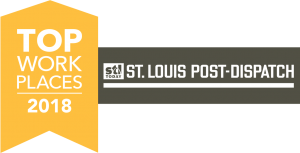 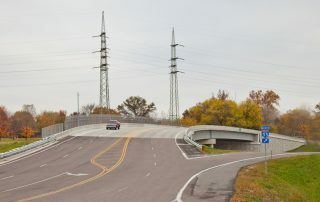 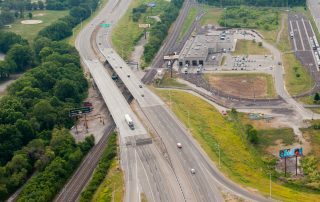 Morgan Avenue Over I-57 Bridge - St. Louis Engineering Firm | Thouvenot, Wade & Moerchen | TWM, Inc.
TWM studied and reconfigured the existing partial interchange at I-57 and The Hill Avenue (formerly Morgan Ave) to the first Diverging Diamond Interchange to open to traffic in Illinois. 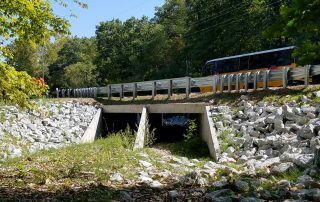 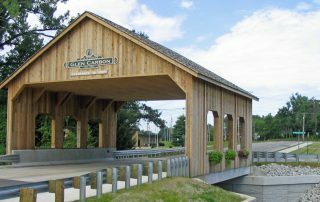 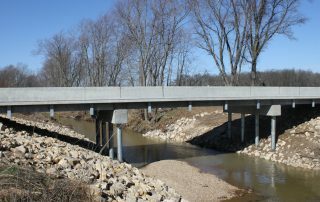 As part of the project, TWM’s structural engineers designed a new bridge over I-57, paralleling the one the firm previously designed in 2008. 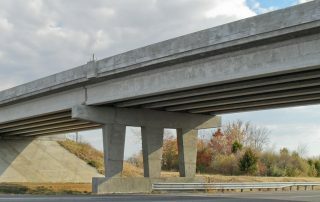 The new structure is comprised of 4 spans totaling 370’ with a width of 44’. 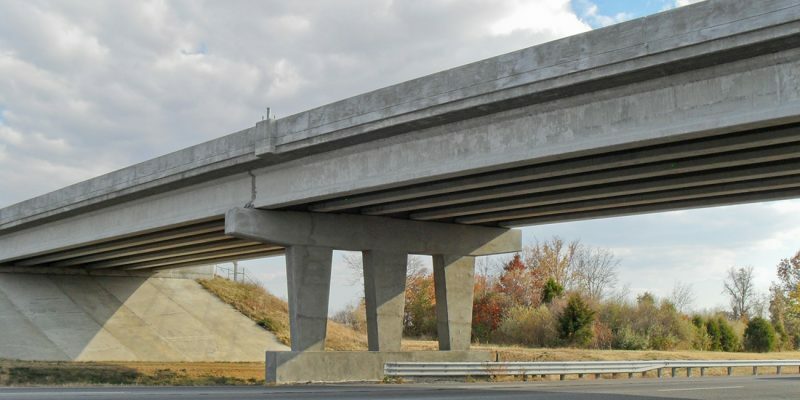 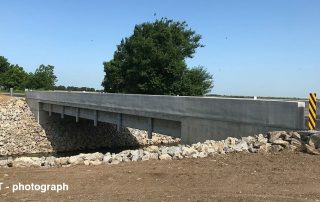 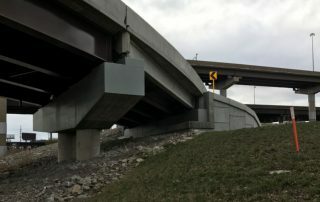 The superstructure consists of 54” PPC I-beams with an 8” thick, cast-in-place, reinforced concrete deck on integral abutments and modified crash wall drilled shaft bent piers.